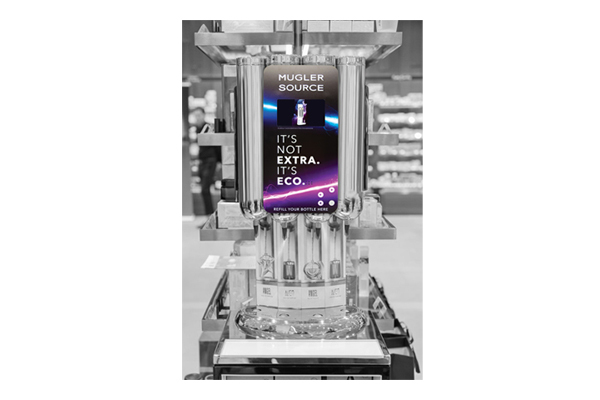 Clarins had invested a significant amount of resources implementing fragrance refilling stations in retail outlets around the country for its Thierry Mugler brand. 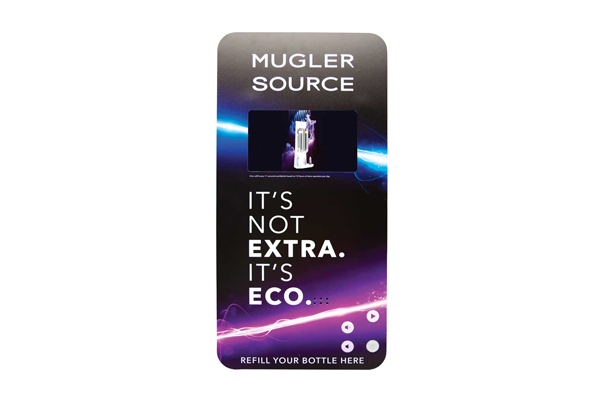 Market testing had proven that the refill stations had strong support, but once installed consumers’ feedback was that they were not using them due to their unfamilairty with the process. Americhip worked with Clarins to design and produce a stylish Video Blade to mount directly to the front of the refill stations to guide consumers through the process. The digital billboard was 14” high by 6.5” wide and had no problem grabbing consumers' attention. And, our motion sensor trigger ensured that the informational video played any time a consumer approached the station. 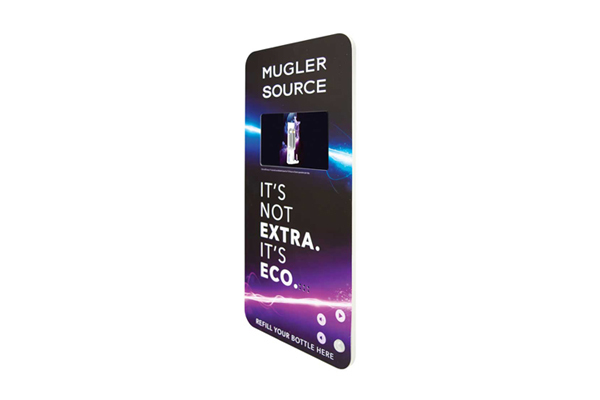 The Video Blades helped consumers overcome their initial confusion and allowed the refill stations to become the success they were destined to be. Put our Video Blades to work for your brand to help educate, engage and persuade your consumers right in the store aisle.